sword strikes harder against dark servants." The Greatsword of Artorias deals extra damage against dark servants such as Darkwraiths and The Four Kings. Furthermore affected by this are Kirk, Knight of Thorns, Frampt and Kaathe. Like all weapons that have a Divine modifier, Skeleton enemies in The Catacombs will not reassemble when killed with it even if the Necromancers are still alive. 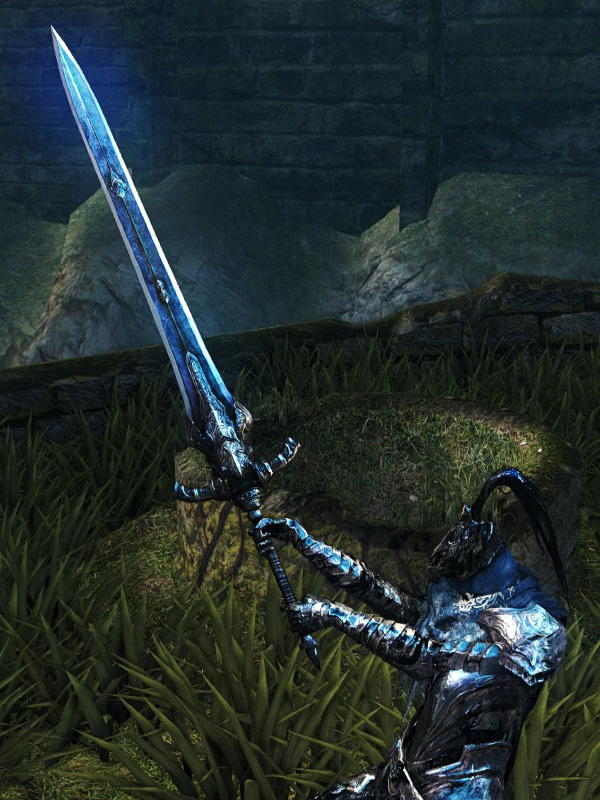 In the German translation, this sword is called "Finstertöter" (Darkslayer) while the Cursed version is called "Großschwert von Artorias" (Greatsword of Artorias). In order to obtain the Knight's Honor Trophy/Achievement, players need to acquire this weapon, as well as the Cursed Greatsword of Artorias. Unlike the Cursed version, this one does receive scaling with Intelligence and Faith. Requiring 24/18/20/20 in four different stats means most builds will not likely be able to wield it effectively, since at least one of the four is usually not invested in. In particular, few builds tend to invest 20 in both Intelligence and Faith. An exception is extremely high Soul Level builds (significantly above the typical highest PvP stopping point of SL125), where this is one of the highest damage weapons due to scaling on all four stats. 55% STR, 55% DEX, 85% INT, 85% FAI scaling.